In Japan, it will be broadcasted on December 1. Outside Japan, you’ll watch it on Dec.6. For more info, please click the following link. The followings are IL DIVO videos in Japan. Quality is not good. But they are better than nothing. I watched the Royal Wedding on TV. It was so delightful event that I could feel happy at least temporarily. Recently we’ve had gloomy news only. Naomi-san, one of my IL DIVO fan friends, informed me of the Charity concert. The following is the email from Naomi-san. this coming Saturday, April 30. The venue is very nice and can hold 2000 people. We have over 170 performers and vendors for you to enjoy that night. 100% of proceed goes to Japan Red Cross through Japan Council. Here is the website for your information. If you have any question, please do not hesitate to call us. I got Smartphone last Saturday. This is the first post by smart phone. I hope it will work out! I wonder how people outside Japan are thinking about Japan. Nuclear power plants still have problems. That’s true. Not a few non-Japanese went to their home countries. However there are 120 millions people living in Japan. Unsafe area is NOT all over Japan. I hope people will come back here. In Japan, it’s getting warmer and warmer. I don’t use heater in daytime. We don’t need a lot of electricity for heating, so scheduled electric power outage will not be underway in April and May. 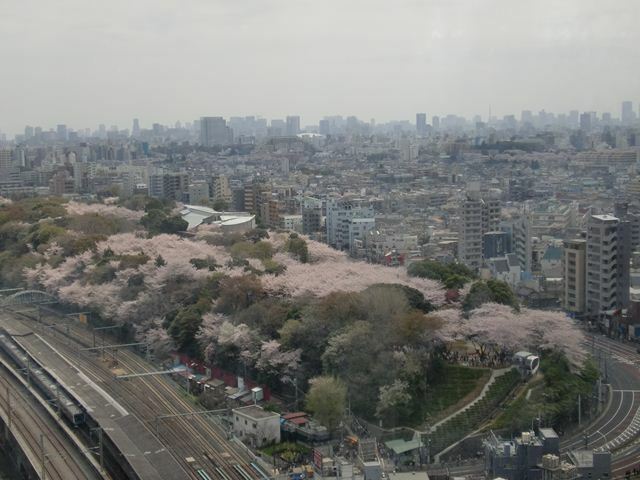 In Tokyo, cherry blossoms are in full bloom. 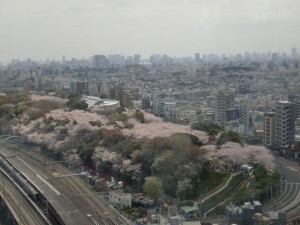 There are less people who enjoy cherry blossom viewing than usual. Many Japanese don’t feel like having fun because we do feel sorry for victims of the earthquake and tsunami. I took this photo at the building located five minutes’ walk from my place.